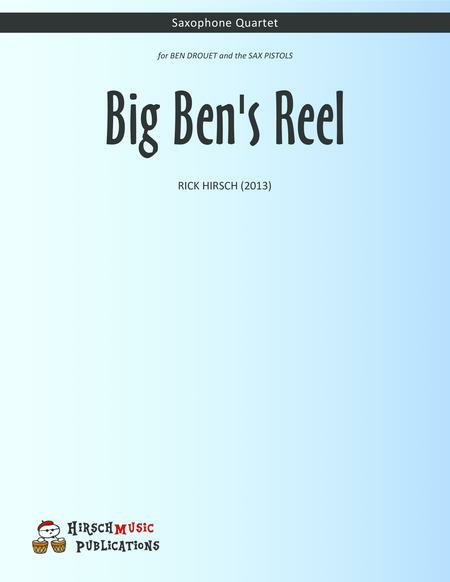 Composed by Rick Hirsch. 21st Century, Jazz, Klezmer, Celtic. Score, Set of Parts. 29 pages. Published by HirschMusic Publications (S0.71683). 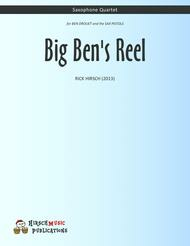 Big Ben's Reel (2015) is an energetic romp inspired by the flavor of an Irish Reel. It is reminiscent of Hirsch's beloved 'Cityscapes' (also for quartet) with catchy melodies, driving rhythms, and a variety of Ethnic-sounding lines. 4:15 duration. For SATB saxophone quartet.View performance: https://www.youtube.com/watch?v=8tX3FM7AO-IBack to School 2015.